in what it says about our times." Stona Fitch is Rory Flynn! (and the other way around). Dark Horse – the second novel in the Eddy Harkness series (HMH), is out in paperback now. Third Rail, the series debut, is available in bookstores everywhere. Read the Boston Globe review. Give + Take on its way to becoming a film, thanks to Incunable Productions. 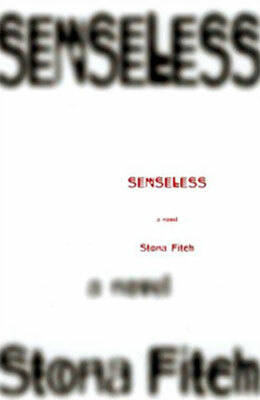 Senseless available now on DVD. Concord Free Press inspires more than $2 million in generosity. Stona Fitch is the award-winning author of original, powerful, and disturbing novels that attract an international following. He is also the founder of the renegade Concord Free Press, the world’s first generosity-based publisher. And he writes the Eddy Harkness mystery series (Houghton Mifflin Harcourt) under the pseudonym Rory Flynn. Copyright © 2017, Stona Fitch. All rights reserved.